From the inception of the Reformed tradition, Reformed Christians have followed God's call to engage and change the world. Yet little work has been done to bring the tools of practical theology and ethics to bear on the task of understanding the Reformed tradition. This comprehensive volume addresses that problem. 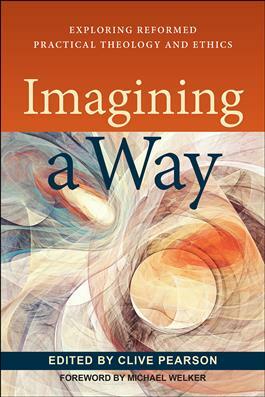 It gathers some of the most respected voices from within the study of Christian ethics and practical theology to ask how the Reformed tradition understands its calling into the world. What does being Reformed mean for how one engages the ills of racism, white supremacy, and homophobia? What does it mean for an environmental ethic? How does Reformed preaching and liturgy respond to sexual violence? These are among the many important issues this book seeks to address. Readers will come away with a firmer grasp of how the Reformed tradition informs and animates Christian engagement with the world. Contributors include Denise Ackermann, Jana Childers, Susan Davies, Etienne de Villiers, Cynthia Jarvis, Jong Hyuk Kim, Ralph Kunz, Cam Murchison, Piet Naudé, Cornelius Plantinga, Nancy Ramsay, Kang Phee Ramsay, Dirk Seng, Max Smit Stackhouse, William Storrar, Geoff Thompson, and Hmar Vanlalauva.